We really appreciated his advice about your "unique-abilities." So, we're including the copy below. Whether your unique-abilities include 24/7 on-call support, caregiver training can endorsed by your local health department, or proof of the quality of care you can provide; the most important thing is to identify what your unique-abilities are. The purpose behind this exercise is two-fold. 1) To consistently remind your clients and their loved ones why they continue to use you over anyone else. Remember they are human and may forget what makes you so unique. If they are consistently reminded by you and your team, the benefits they are receiving will stand out. 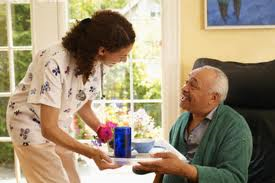 2) If they are consistently reminded by you and your team, the benefits they are receiving will remain more in their mind for future retrieval when speaking to a friend or neighbor who might be in need of your care. What makes your agency so special?